No energy? Not enough exercise? On a diet? Then Spirulina 100% is the perfect suppliment needed for your busy lifestyle! Packed with nutrients, Japan's number one Spirulina product will get you back on track! 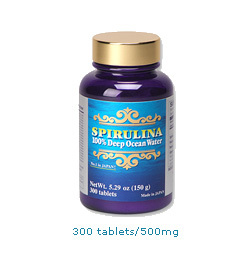 SPIRULINA-100% Deep Ocean Water is the nutritional dietary supplement in the world containing Spirulina cultivated successfully in 100% deep ocean water of Okinawa, Japan. Enrich your body's oxygen transport! All natural pigment used for coloring various foods. For two decades, we have been involved in many research breakthroughs such as our successful extraction of blue food coloring from Spirulina. 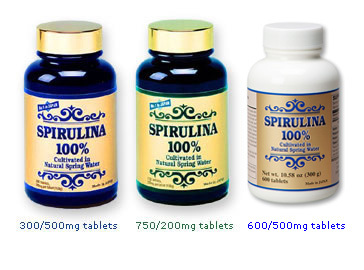 More recently we have been seeing amazing results in the culivation of Spirulina using deep sea water. Learn MORE about these Japan Algae products!